Anguilla Real Estate For Sale... We Buy! What's the first thing you would want to do after a wonderful, 5-week, our-oldest-daughter-is-going-to-college-so-it's-now-or-never family trip to Italy? Book a trip to Anguilla 3 days later? Let's go buy Anguilla real estate! Only Yuki and I were able to make the trip. Nori was registering for college and Janice had too much work. So the youngest and the oldest in the family were Anguilla-bound! And what a wonderful 4-day trip it was. Le Bar -- their stunningly delicious hamburger will be missed (yes, they close Sept/2005). A new dirt road makes the approach simple. We still take the old way every now and then, though! and so forth until you reach the sea. Anguilla is still like that. I hope it will always be so. I walked and photographed it far from the East, and from the West. From above, from all around. But I had trouble getting "inside." The land itself is covered by dense scrubby vegetation and at first seemed impenetrable. 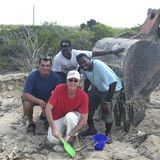 But I found a way in from behind and found a superb plateau, set well back and up from the Caribbean. I dropped into the Land And Surveys office and paid $5 to be sure there were no liens on the land. It's a good idea to do this if you're on island -- if not, ask Jackie to confirm. This is just a matter of dotting your i's. I've grown to know the vendor of this land very well. He's a wonderful man. So it's not a matter of trust. But you never know when someone may have put a lien on the land, even unbeknownst to him. $5 can save you a lot of needless grief. 1) Sign the purchase agreement and leave the 10% deposit check with Jackie. You can retain a local real estate lawyer to review the agreement if you like. I didn't feel the need. 2) We met an excellent builder. Builders are busy, busy, busy. But he committed that he could start in about one year. Luckily, the government is relaxing the "must build in 18 months" rule since builders are so hard to find. 4) Fly home on Day 4. And that's it! 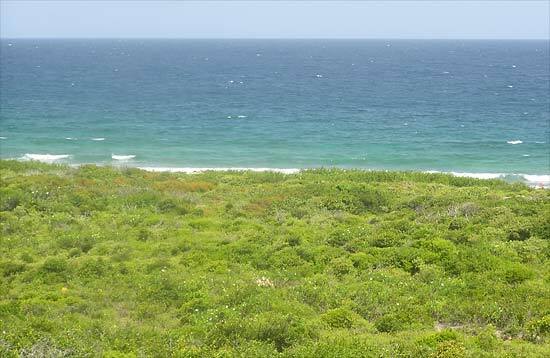 1) Get Outline Planning Permission to complete Anguilla real estate sale. 2) Start preparing... Read up on building a house in the Caribbean. 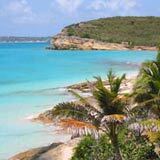 Anguilla › Anguilla Real Estate › Buying & Building Journal › Anguilla Real Estate, We Buy!